Use the blunt end of the toothpick to make the dots. Just keep dabbing the toothpick on the the stem of the brush. Dabbing on the brush will make the toothpick drippy and the dots might come out too big. Also use a light hand when putting the dots on your nails. All the dots don't need to be exactly the same shape and size. In the end, they'll all look the same. 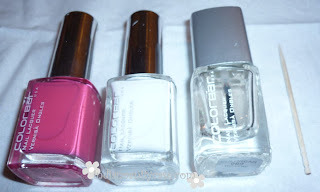 Then apply one smooth coat of the top coat. 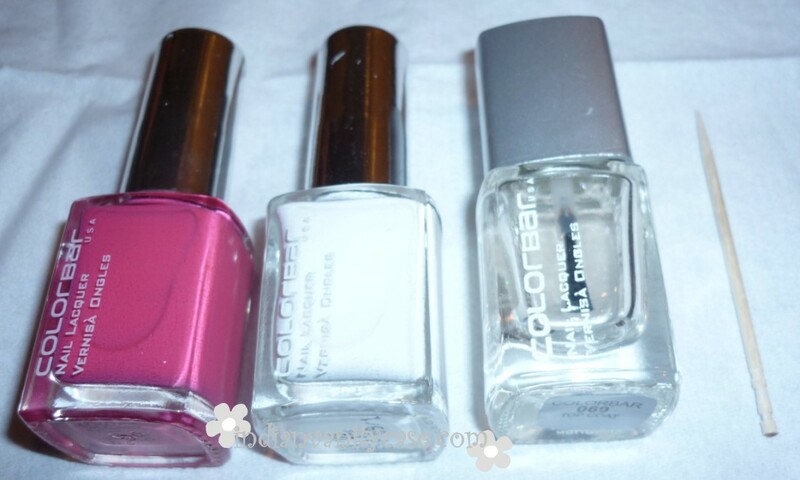 A top coat is important because it will smoothen any unevenness and give your nail art a "polished" glossy look. Such cute nails Cynthia :) I love the Pink nail paint you're wearing, really bright and fun! Am going to give this a try. Will post pics if I do nail art..
so cute! 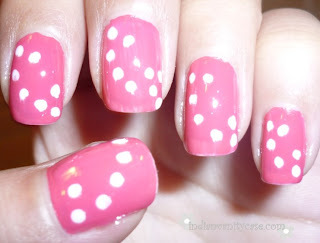 i love the color pink and polka dots, so both of them in a combo = gorgeous! Me too loves the sketches , and the pink color is sooo cute ! Anything pink and with polka dots gets 2 thumbs up from me! I love your pic tutorial...hee hee. How cute is this! I would love to do this to my nails! Hey! This is so easy to do.... finally a nail art I can do. I am generally so clumsy with nail paints. & It looks real pretty and cute too!